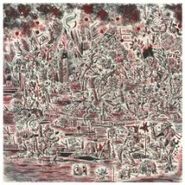 Cass McCombs' latest record is a confident double-length album that shows his growth over seven albums into one of the foremost singer/songwriters of our generation. Big Wheel takes its time to get going, moving gently from one track to another. As such, even with its hour-plus length, it's an easily approachable album with great variety within a pretty straightforward setup. "Big Wheel" is a bluesy rumination on manhood—"A man with a man, how more manly can you get? I may be five-foot-one, but you're all wet" he sings in a memorable couplet. He pairs lyrics of a sexual love affair in "Morning Star" ( "wring my neck under your thighs" he sings suggestively in the chorus) with gentle country-folk that sounds like the first thing you want to hear upon waking. Perhaps the biggest highlight is "Brighter!," a song included twice, the second time with the late Karen Black taking lead vocals for a sweet, sad farewell. Some of Big Wheel's tracks veer into dad-rock territory, but even then there's usually something more interesting than what meets the eye on deeper listens, like the insane horns that pop up in "Joe Murder" and "Satan Is My Toy" or how "Everything Has to Be Just-So" begins gently and breaks apart into avant-garde atmosphere. Big Wheel and Others needs a few spins to sink in, but once it does, the album reveals itself to be an indelible listen.